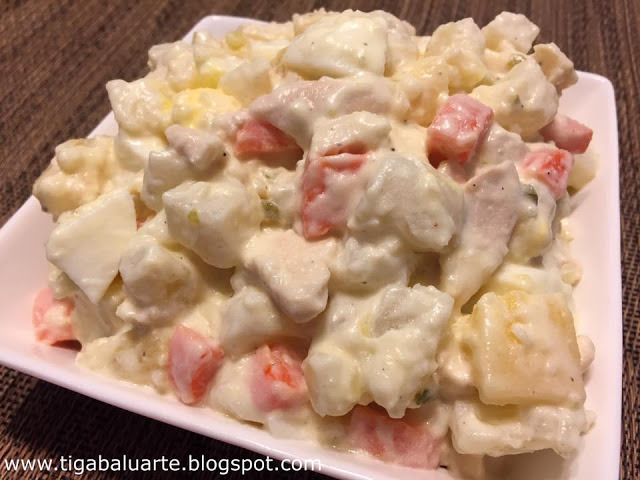 Macaroni Fruit Salad is a popular dessert in the Philippines and for Filipinos all over the world. It is creamy delicious and very easy to make. 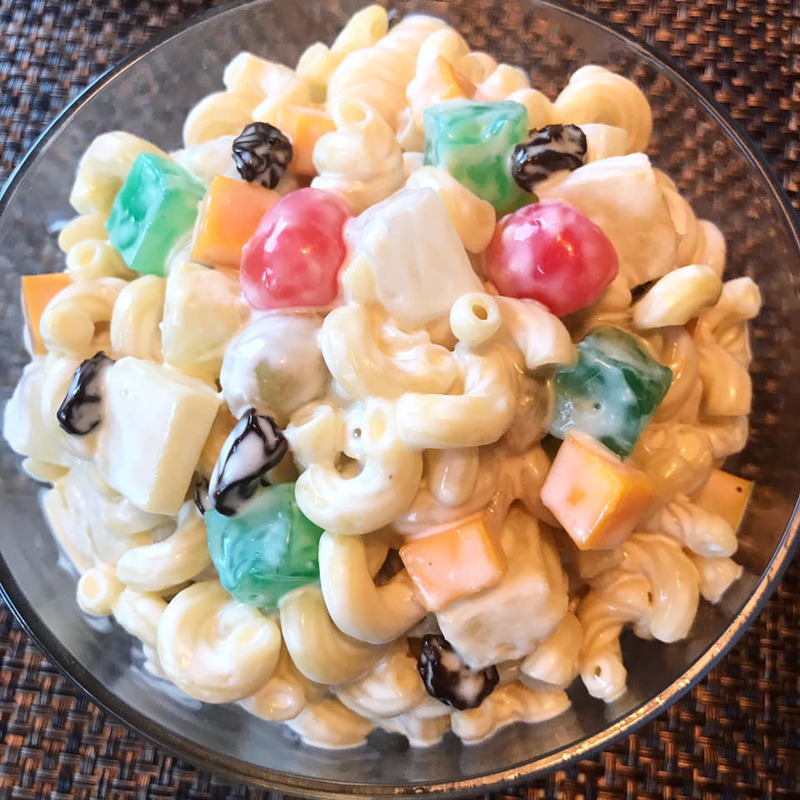 Macaroni Fruit Salad is usually made with elbow macaroni, mayonnaise, condensed milk and fruits. 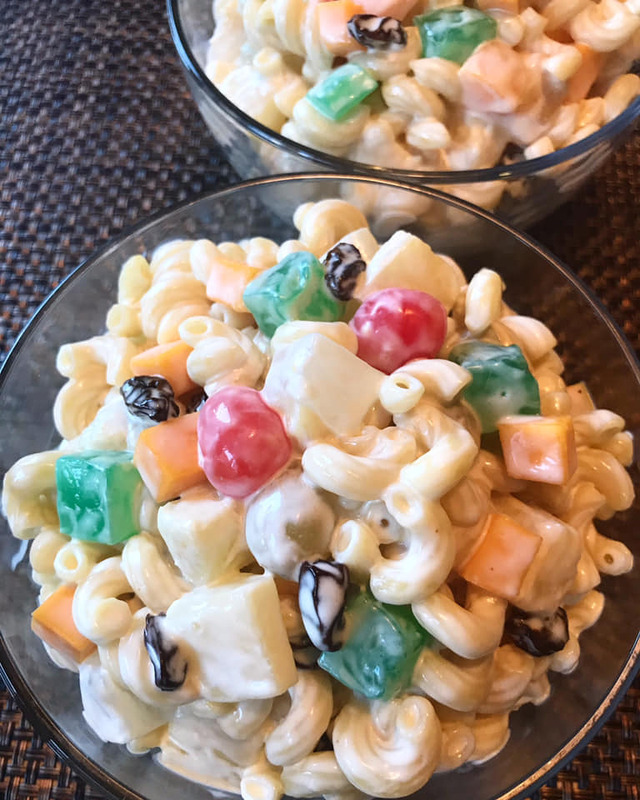 This sweet Macaroni Fruit Salad makes a great side dish and can be made ahead of time. 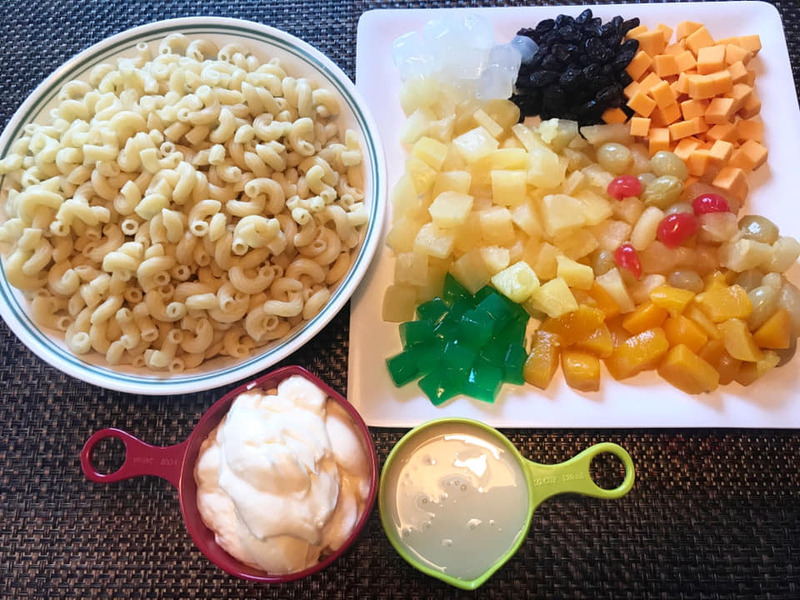 This rich and creamy easy to make Macaroni Fruit Salad is great for every occasion like birthdays and holidays. 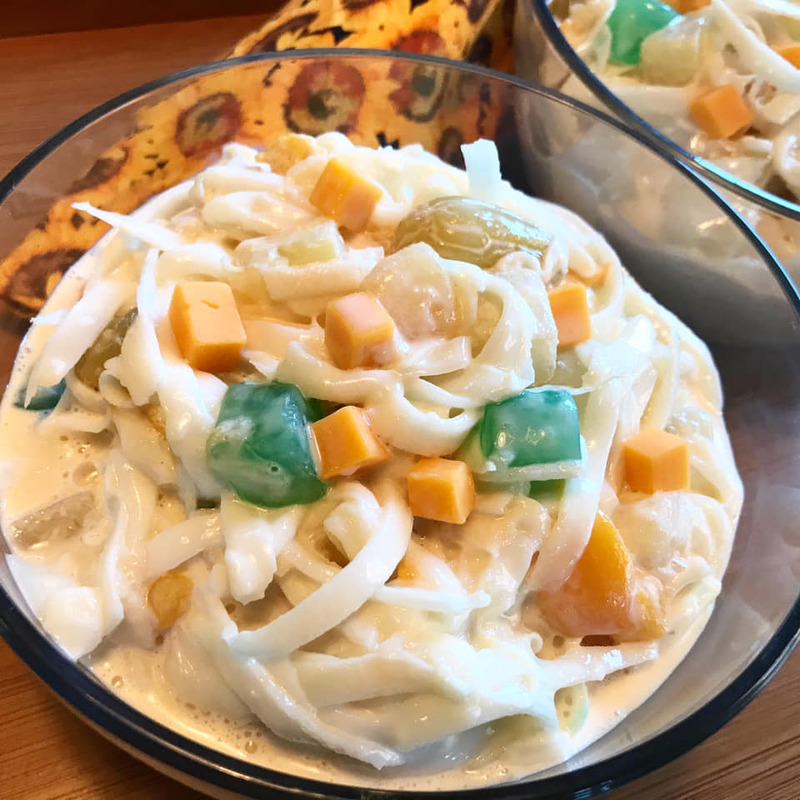 It is also a staple dessert in a Filipino parties during special occasions. 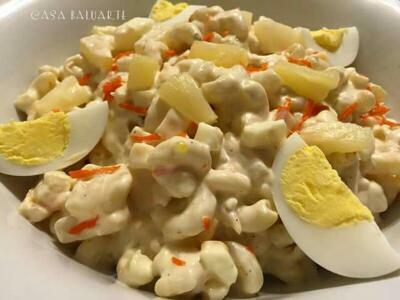 Try this Macaroni Fruit Salad and share with family and friends. 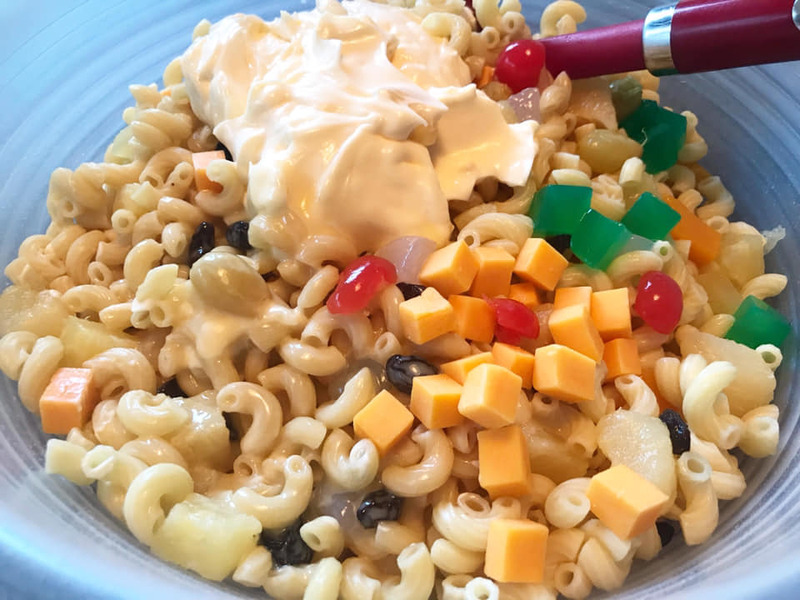 This Macaroni Fruit Salad is yummy, festive and also versatile to easily suit your taste. 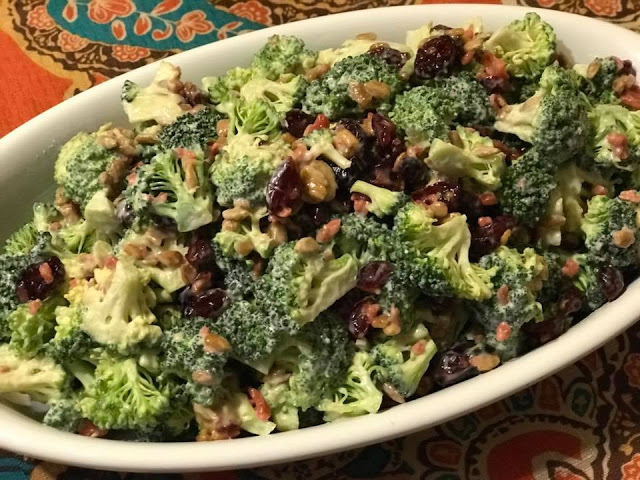 Don't forget to check related dessert post below by clicking on the name link below the picture to see complete recipe. Boil elbow macaroni in water according to package directions. Let cool and drain excess water for at least 2 hours. Drain pineapple chunks, kaong, nata de coco and fruit cocktail for at least 2 hours. In a big mixing bowl, combine mayonnaise, condensed milk and table cream. Mix thoroughly. Add raisins and cheese to the bowl and mix thoroughly. Add drained elbow macaroni and drained fruits to the bowl. Stir gently to distribute. Refrigerate for 2-3 hours or overnight before serving. Enjoy!